TJ Formal Dress Blog: More Sherri Hill in WHITE! 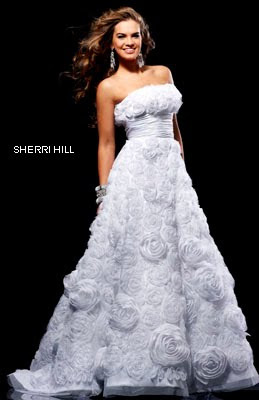 Sherri Hill just came out with some of their styles in White! We've already discussed how white dresses are great for prom, but also consider them for sorority functions and spring dances! I've never considered wearing white before, but it's a good idea! Very classy.